Your time at university is a wonderful opportunity to meet with new friends, discover new interests and launch new careers. Prague College supports you in these very important endeavours by helping your get the most from your experience as a student here. The Humanities Society (PCHS) is run by students and members of staff from different departments for the benefit of everyone interested in the humanities, including philosophy, psychology, sociology and related disciplines at any level. 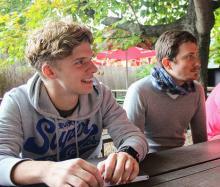 The International Student Association (ISA) is a community of Prague College international students who meet regularly to share experiences of living abroad. ISA holds regular activities, organizes trips and events, and is a great way to discover the culture of the Czech Republic.